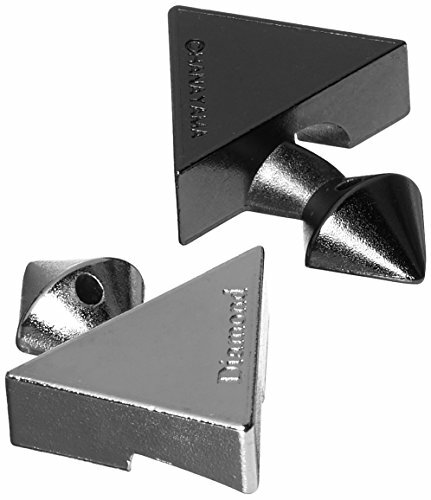 Though easy to take apart, the hanayama diamond puzzle requires diligence and dedication to reassemble. 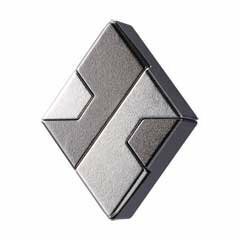 The elegant, understated design hides a boggling brainteaser sure to keep your hands busy. Sleek, high-quality materials ensure each piece endures years of vigorous play. 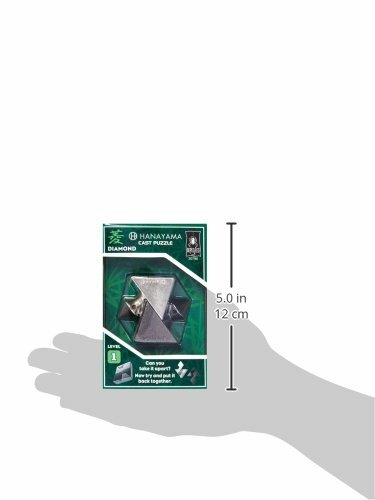 Hanayama cast-metal brainteasers are Mensa-rated and have 6 levels of difficulty; level 1 puzzles are considered easy. 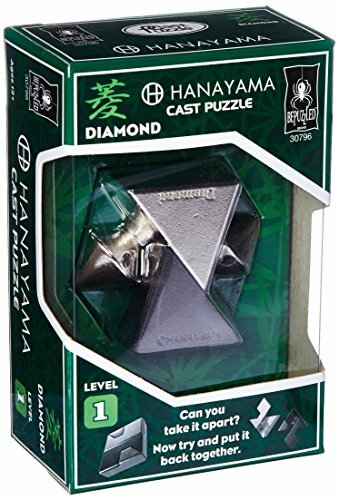 BePuzzled is the exclusive distributor of hanayama cast puzzles in the usa—accept only the best, buy BePuzzled.